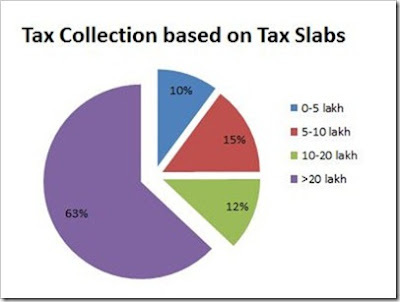 Do you know that there are 20 Types of Taxes in India that government ask us to pay via different manners? In this article, we have listed 20 types of taxes in India. Have a look. What is direct tax? Well, direct tax is directly enforced and paid to government of India. There are different types of direct taxes. 1. Income Tax: Almost everyone is aware about this tax. If your total income exceeds taxable limits then you have to pay income tax based on the existing rates applicable. Check out Current Income Tax Rates here. 2. Capital Gains Tax: It is a tax on gain in capital. If you deal for a property, shares, or bonds, and any expensive material and earn get benefit on it within defined time, you have to pay capital gain tax. It is classified into short-term and long-term gains. The long term capital gains tax is charged you keep the capital asset for more than one year in case of share and 3 years in case of property. In addition, short term capital gain tax is applied if the assets are kept for less than above stated period. 3. Securities Transaction Tax: Government has invented the securities transaction tax which is applied on each transaction done at the stock exchange. If you purchase or sell equity shares, derivative instruments, equity oriented mutual funds than this tax is applied. Moreover, it is added to the price of safety during the transaction and therefore you can’t ignore it anyway. In addition, this tax amount is very low and people don’t notice that. 4. Perquisite Tax: Before Perquisite tax, we had tax known as Fringe Benefit Tax. It was eliminated in the year 2009 and this tax is on profit given by the employer or employee. For example, if your company is giving you the non-monetary profits like car with driver, ESOP, and club membership then all this benefits are taxable under the perquisite tax. 5. Corporate Tax: As we all know, corporate taxes are annual taxes that are payable on the income of a corporate operating in India. Furthermore, for the reason of taxation companies in India are largely classified into the household companies and foreign companies. Average Corporate Tax in india is 35.02 % from 1997 to 2015. There are different types of indirect taxes as well. Have a look. 1. Sales Tax: Sales tax is applied on the sales of movable goods. Sales tax on inter state sale is charged by the union government and sales tax on intra-state sale is applied by state government. It can be defined in three categories including inter-state sale, sale during import/export, intra-state sale. Moreover, state government can enforce tax on sale only within the state. (Average Sales Tax in india is 12.36 percent from 2006 to 2015). 2. Service Tax: Majority of paid services you take, you have to pay service tax on those services and it is known as service tax. Some of the major service that comes under the limit of service tax is tour operator, telephone, interior decorator, beauty parlor, advertising, banking, financial service, health center, event management, consultancy services, and maintenance services.Current service Tax Rate is 14% (Applicable from June, 1, 2015). But now you may get Tax benefits on buying things via Credit/Debit Card. 4. Custom Duty & Octroi (On Goods): It is a type of indirect tax which is applied on goods imported into India. You have to pay this duty on goods which are imported from a foreign country into India. This tax is payable at the port of entry such as airport and the tax rate differs based on the items. 5. Excise Duty: It is a type of tax that is charged on goods that are produced within the country. Moreover, this is opposite to custom duty which is applied on transporting goods from outside of India. 6. Anti Dumping Duty: This tax is applicable when the goods are exported by a country to another country at a price lower than the normal value. It is an inequitable trade practice that can have a distortive effect on the international trade. To correct this situation, central government applied an anti dumping tax that does not surpass the margin of dumping in relation to any goods. 7. Krishi Kalyan Cess:- The recently added tax by finance minister Shri Arun Jaitley in union budget 2016. The additional 0.5% of additional Krishi Kalyan Cess will be imposed apart from 14% service Tax. The additional tax, Krishi Kalyan Cess (0.5%) will be imposed from 1st June, 2016. Total Service Tax is now 15% (14% Service Tax, 0.5% Krishi Kalyan Cess, 0.5% Swachch Bharat Cess). 1. Professional Taxes: If you are earning professionally, you have to pay professional tax. It is applied by the municipal corporations. Moreover, almost every state in India charges this tax. 2. Dividend Distribution Tax: It’s the tax which is applied by the Indian government on companies according to the dividend paid to the company’s investors. Dividend amount to investor is tax free and currently the dividend distribution tax is 15%. Update :- Additional 10% dividend distribution tax imposed in union budget 2016. 3. Municipal Tax: The municipal corporation in every city applied tax in terms of property tax. Owner of every property have to pay this tax and rate of tax differs in each state. 4. Entertainment Tax: Tax is applied on Entertainment as well. Entertainment tax is applicable by state government on each financial transaction which is related to entertainment like movie tickets, broadcasting services, DTH services, and major commercial shows exhibition. 5. Stamp Duty, Registration Fees, Transfer Tax: If you are going to buy a property, you must consider additional cost to transfer that property on your name. Right? Well, that cost contains registration fees, stamp duty, and transfer tax. It is required for making legal document of your property. 6. Education Cess, Surcharge: It is deducted and utilized for education of poor people in India. Moreover, all taxes in India are subject to an education cess and it is 3% of the total tax payable. It is chiefly applicable on income tax, service tax, and excise duty. 7. Gift Tax: If you get gift from the one then it is dubbed with your income and you have to pay tax on it. It is known as gift tax. It is applicable if gift amount is more than 50000 Rs in a whole year. 8. Wealth Tax: It is direct tax and is charged on the net wealth of the customer. It is applicable as a net wealth equivalent to valuation date. Wealth tax is 1% on net wealth exceeding 30 Lakhs. 9. Toll Tax: You have to pay toll tax on some places to use infrastructure developed from your money provided to government as tax. It is known as toll tax. Toll tax amount is very low and it is paid to maintain the services provided. New infrastructure cess is imposed on buying new car. 1% extra infrastructure cess is imposed on Petrol/LPG/CNG cars, 2.5% cess on diesel cars and 4 % extra cess on big sedan and luxury cars. The new Infrastructure Cess will be applicable from 1st June, 2016. So, this is the list of types of taxes in India. Do you have any questions? If yes, than please leave comment below! Want to Save Tax? here is Deal, invest in Tax Free Bonds and save tax.